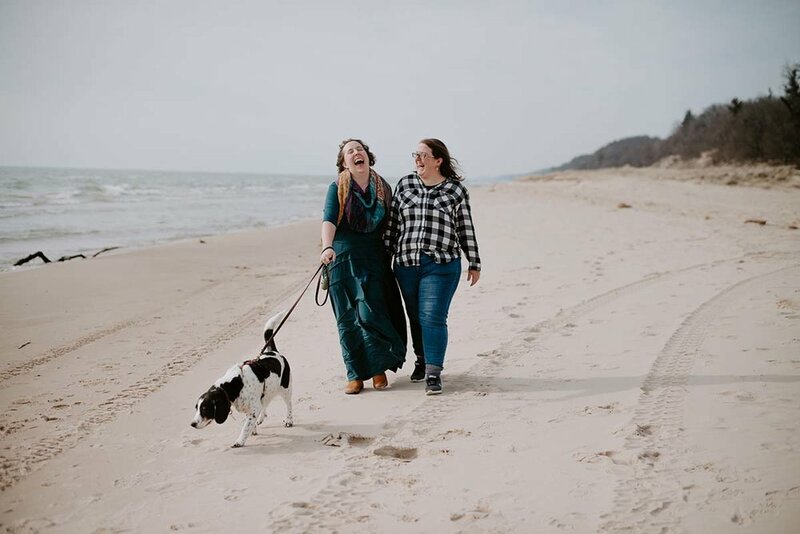 Real Couples // A Lake Michigan Beach Engagement: Emily + Ang — Catalyst Wedding Co.
Emily is a librarian from Michigan. Ang is a writer from Brisbane, Australia. 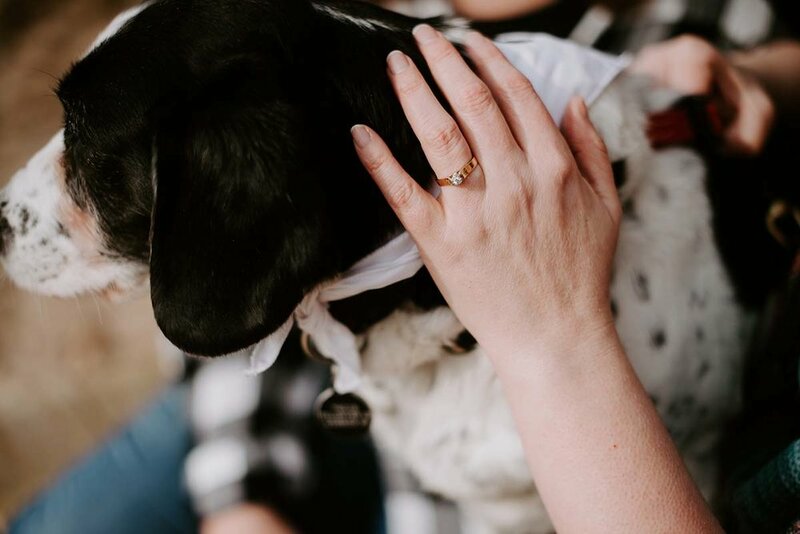 We read, write, game, craft, hang out with our dog and two cats, blather on the internet, and are now excited to explore our new home and surrounds in Brisbane. 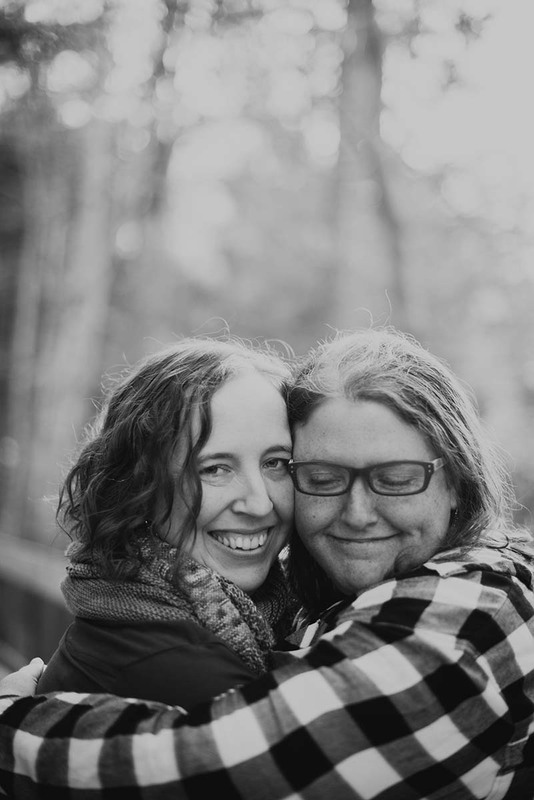 Emily: We met online through a text-based role-playing game in 2006. (We tended to write as brothers. Yeah, that's kind of weird now.) Ang is from Australia and I'm from Michigan, so time zones were a mess but we both love hockey and books, so we regularly chatted for a few years over AOL instant messenger (RIP). In 2008, Ang did the Australian thing and took a big trip around North America. I invited her to stay with me in Lansing, Michigan for a week. She came, we went to a Red Wings playoff game, and she's been coming back every year ever since. (Probably because of the hockey!) We became best friends and had planned to spend our lives together even though we thought our relationship was platonic at first. Spoiler alert: It wasn't. Ang: We went ice skating outdoors in February 2017 at our favourite rink. I feigned sore feet and asked to sit down for a while off to the side of the skating trail through the woods. Emily was getting super impatient so I said I had something important to talk about, then pulled out the ring box and said "Will you marry me?" Emily laughed and tilted her head at me. Confused, I asked "What?" and she said "I thought we'd planned on doing that anyway." I said I wanted to formalise it. She replied, "yes, duh" and immediately put the ring on the wrong hand. Emily: What we're most looking forward to about being married is finally getting to be part of each other's every day lives in a practical way — to be able to give hugs or make dinner or bring each other coffee. Finally being able to have each others' back without worrying that there's a 21 hour plane trip in between us if something goes wrong. Being able to share a house and make a home! Ang: Emily's engagement ring is gold with a small diamond and was made for my great-grandmother in the 1940s by my great-uncle in Melbourne. My great-grandmother was a rabble-rousing Anglican woman who loved me dearly and was always kind. It seemed appropriate to give it to a rabble-rousing Episcopalian woman who loves me dearly and is always kind. Emily: Ang's engagement ring is made from a Michigan quarter. She doesn't really do fancy jewelry, so it seemed best to have something she would be comfortable wearing that symbolized a place we love. 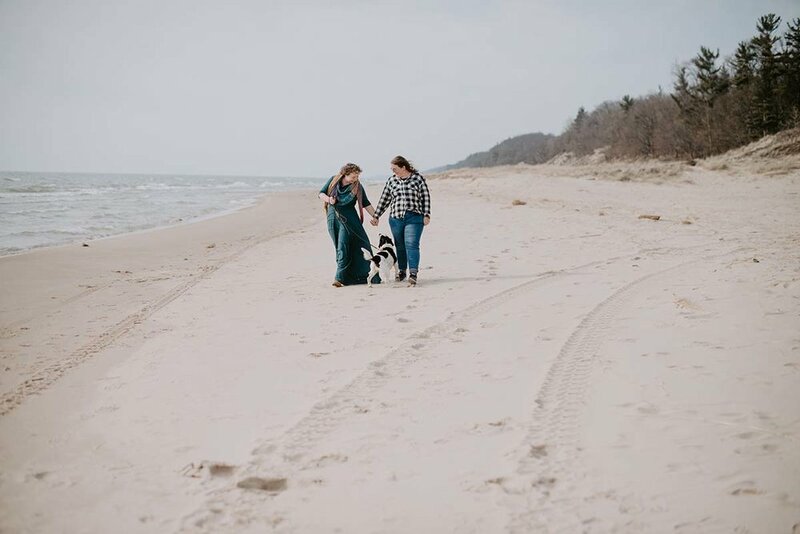 Hoffmaster State Park is only about 15 minutes from where I've been living and it's my favorite beach on Lake Michigan. It's where I bring any visitors and where I've brought Ang several times — including the first time she saw snow! I also bring my dog Puck there for the trails or long hike along the beach regularly. It's one of the most beautiful places in Michigan and one I was excited to share. 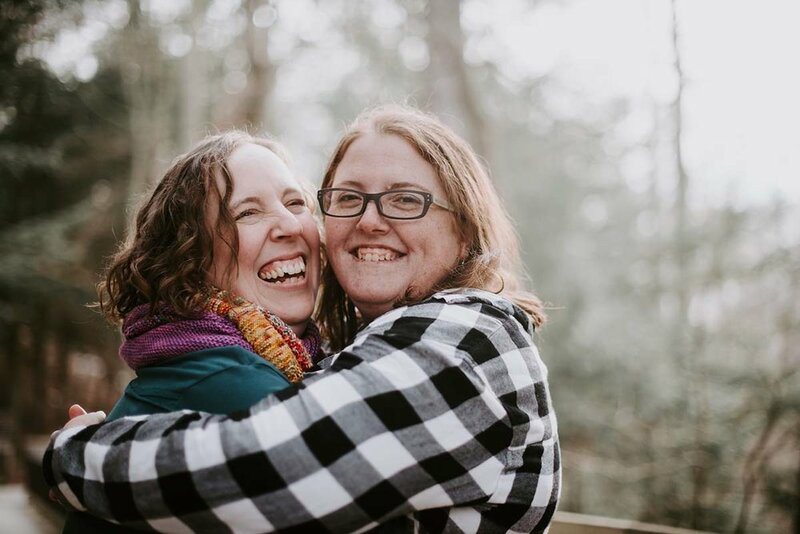 When we started looking for a photographer, we decided we absolutely wouldn't even consider someone who didn't openly position themselves as queer-friendly. In conservative West Michigan, it seemed extra important to support friendly small businesses. The first time I saw Liv's portfolio, I was blown away. Her eye and technique are amazing, but I was also excited to see how she seemed to really focus her approach based on the couple's personalities. Plus, she's incredibly friendly and easy to work with which was a huge plus for two photo novices like Ang & me. 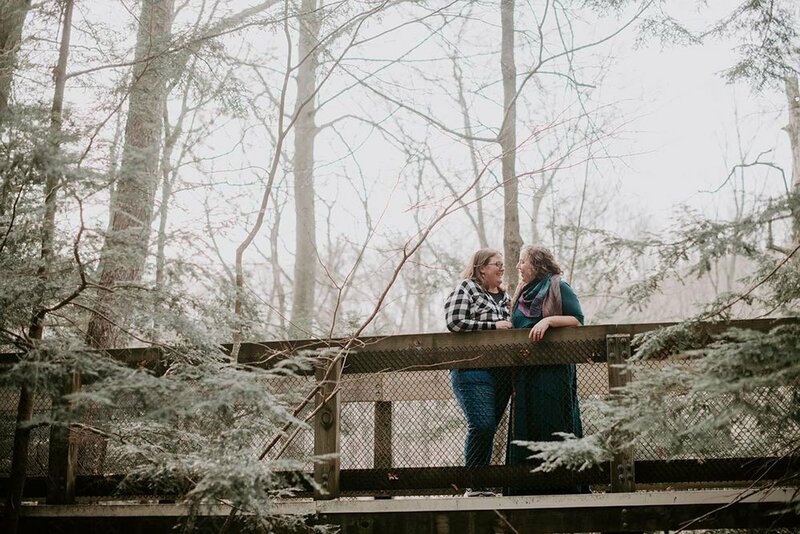 Liv Lyszyk is a 20-something LGBTQ wedding and portrait photographer based in Grand Rapids Michigan but is willing and eager to travel. Her passion is in capturing candid and authentic love between diverse couples with an adventurous spirit. She can usually be found watching The Office in floral leggings and eating sushi.